Realizing you have damage to the roof of your home from strong winds, hail, and storms can be a very stressful experience for many South Carolina homeowners. At Drake Exteriors, we realize how complicated and frustrating the insurance claim process can be without expert help. At Drake Exteriors, we do everything FOR you, but nothing WITHOUT you! Here is a brief rundown of how your roof repair needs will be handled when you hire Drake Exteriors Roofing Contractors to assist you through the process. The very first step is to get a professional roofing company out to look at your roof and evaluate the damage to your roof. Not only is it a safety hazard for homeowners to climb up on their own roof to check for damage, it is also not in your best interest over-all. It’s very common for hail damage and storm damage to not be visible to the untrained eye. Get a professional to evaluate your roof damage in the way your insurance company wants it to be done. This single step alone can save you a lot of time and headache while dealing with your insurance company throughout the rest of the claims process. 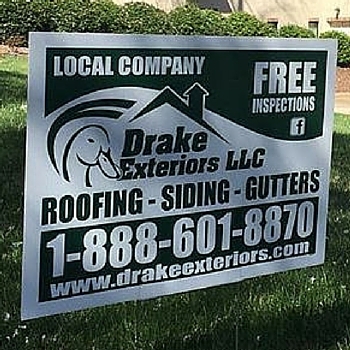 This is just ONE part of our service that our current customers LOVE about Drake Exteriors – we are with you every step of the way starting with this important first contact with your homeowner insurance company that initiates the claim process. Drake Exteriors also has your Expert Project Manager there on site to meet with your insurance adjuster to help ensure the process goes smoothly. After the above 3 steps are completed, your insurance company will issue you your initial claim check to you so you can begin to repair your roof. At this time, you, the homeowner, will be able to select the colors, materials, and any other special requests for your new roof or roof repair. We will also work with you to determine a job start and finish date that works best for you. Then, the magic happens – Drake Exteriors completes your residential roofing project and won’t stop until you are completely satisfied. Your Drake Exteriors Expert Project Manager will be with you every step of the way. 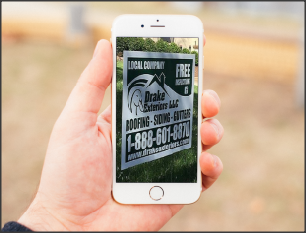 Learn more about Drake Exteriors, LLC here.